Luta Livre has always played a big part in my life. It used to be more of a big hobby of mine; the kind of sport that let me feel every part of my body working, taking my mind off things, the sport that resets me in order to feel good at the end of the day. But since my Mestre Marcio Cromado graduated me to black belt in 2014 things have changed a lot for me. He encouraged me as a black belt to start taking responsibility for new generations, so I did. Since then I have been working hard for Luta Livre in Germany as well as in other countries of the world. 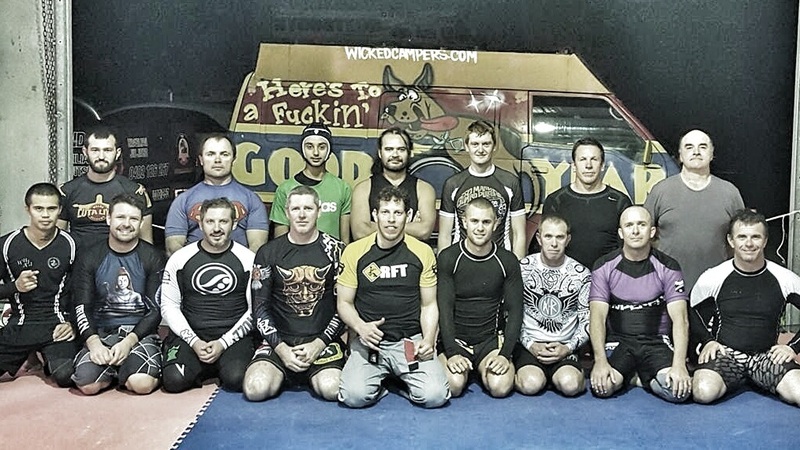 I work part time as a sport scientist in a sport medicine institute in Dortmund, where I live, but in the last 6 months I have visited 14 cities in 6 different countries in Europe, South America and Oceania supporting and mentoring over and over again new and old teams to build good foundations and to keep growing Luta Livre, I’ve hosted multiple international training camps this and last year under the projects of the Welko Academy in cooperation with gym partners bringing people together to learn and enjoy the sport of Luta Livre in a very relaxed atmosphere. It also took me to Hungary, Paraguay and to Australia last year to set up the first official Luta Livre clubs in these countries. All of this I have done in my spare time on weekends and during my time off work, enjoying every single aspect of this journey. I feel very blessed. I mean I have fantastic employers, which with a warm smile on their faces asked me where the Welko Project is going next every time they see me with a request in my hands to leave for a few days. I have met incredible people that I now have the honor to work with. And through all this I am able to follow another passion of mine; traveling to new places to meet new people, experience new cultures and get inspired from them. With such a positive response in the past there is no doubt in my mind to keep this going on. Back in Australia, exactly one year after my first visit supporting our students and affiliates overseas; I was lying restlessly on my bed looking at the waves of Kawana beach through my window. I couldn’t believe how good it was to be back in this beautiful country to continue doing what I love, pushing the active development of Luta Livre on an international level. I couldn’t stop my usual, crazy ideas that night so I picked up my phone and messaged “Iron” Jay, one of our orange belt students, with a proposal. The massage was very German, short and to the point. 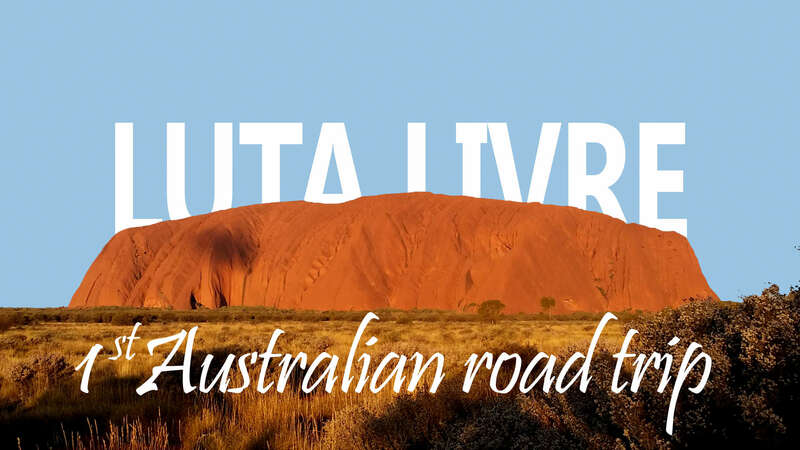 “Let’s go on Australia’s first Luta Livre road trip. I don’t care how. 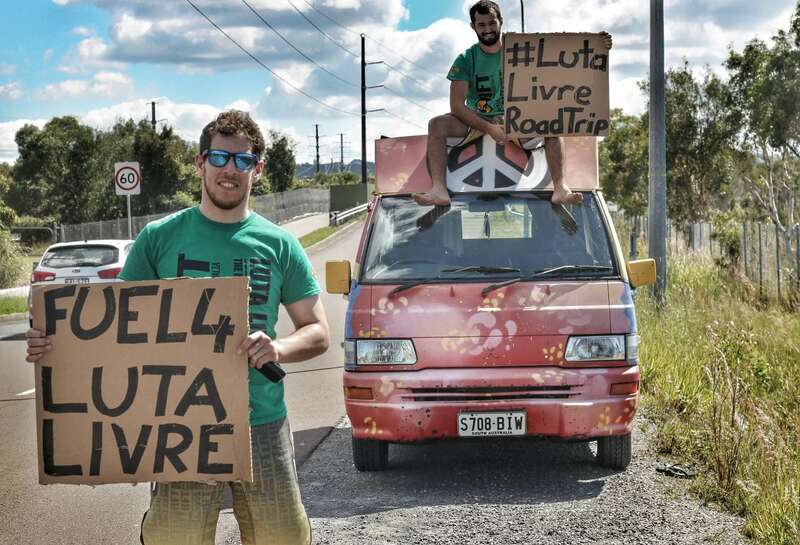 We can get two bikes and cycle from place to place as long as we can spread Luta Livre to more of the country”. I put down my phone and awaited his reply. Minutes went by with no response. I was getting worried. I mean it was the middle of the night. Would he help me do this or would he think I am going too far this time? “Yea why not. I’ll sort out the logistics and pick you up in the morning.” he replied finally. The next morning I awoke to the sound of a terrible horn in the driveway. I looked out the window to see Iron Jay in an old spray painted van. When he saw me he almost launched himself out of the window yelling. “I didn’t mean for you to hire a van, man. All we need is two bikes, dude.” I yelled in reply. “You’re not in Europe anymore. With a bike you won’t get far in Australia” he answered back. Anxiously we started loading the van with basic stuff for our trip, cooking utensils, a 25 liter water canister, camping gear, some food and 9 purple wrestling mats and most importantly: toilet paper. I turned on some reggae music and we hit the road by the sounds of “Israel Vibration”. We decided to drive the pacific highway down to Sydney as I had made an appointment with Chris in his BJJ Gym for the upcoming Thursday down in the Central Coast a few days before we started the trip. 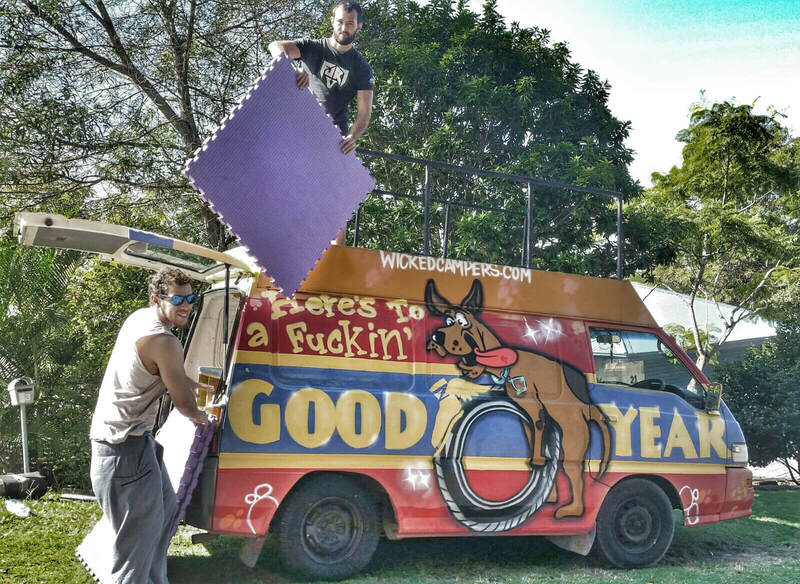 The old van was noisy and the burning sun of Australia made it very hot inside. It had no air conditioning; it was simply and spartanly fitted but painted with very eye-catching graffiti, which made people laughing and curious. 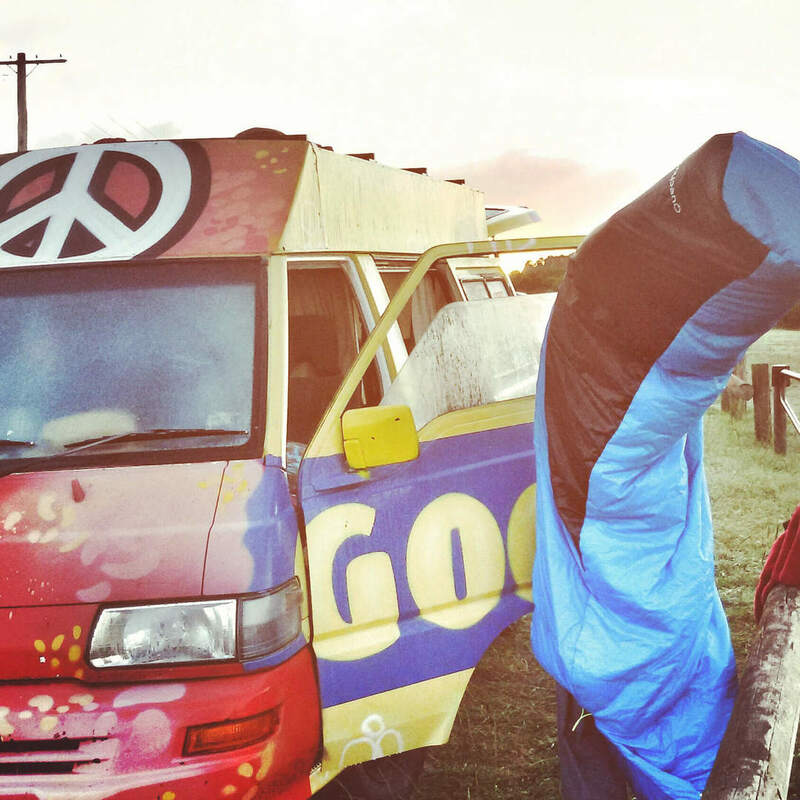 There was a not so comfortable bed inside; I used to sleep in the van and Iron Jay in a tent. There were enough storage places inside and on the roof. There was also a kitchenette when you open the backdoor. We felt safe by not exceeding 80 Km/h. Everything faster than that started scaring us. We stopped more than expected at petrol stations to refuel the van. It guzzled down fuel like a thirsty camel does with water. I started feeling worried about it as we actually wouldn’t want to expend too much money into an unplanned and spontaneous trip far away from home. I have being often on the road for large trips enjoying life and challenging myself doing cycling trips, hiking tours, boat trips, mountain and climbing tours. I’ve been backpacking part of the world by plane, car, train, buses, on foot, hitchhiking and even by horses sleeping in cabins, tents, in the open air, in hammocks and even in trees. But I have never before been on a trip for Luta Livre. So my concern was not the trip itself or how to do it, but I was not sure how people would react to this very spontaneous adventure. 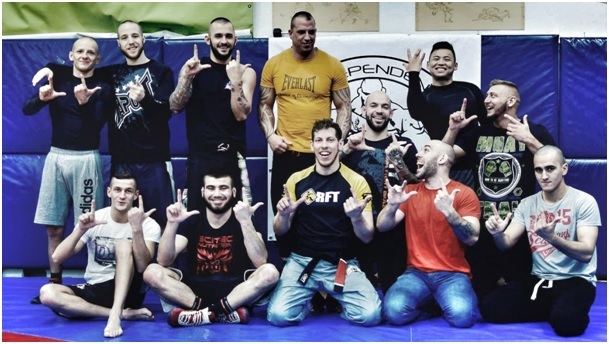 In fact I was not on the road visiting gyms to judge techniques, what styles or approaches are better; neither to keep a senseless rivalry and negative attitude between Luta Livre and Jiu Jitsu practitioners from the past alive. 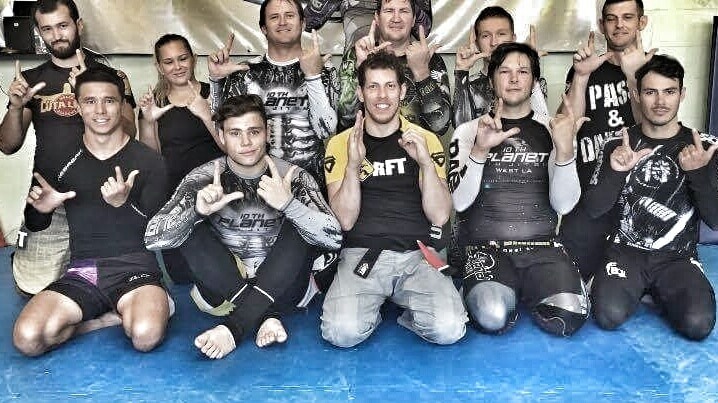 This part of the history has nothing to do with me; it is not my circus, not my monkeys, nor my belief to continue this kind of culture between new generations of Luta Livre and Jiu Jitsu practitioners. I was on this trip to introduce more people to Luta Livre, enjoy the time with them, share knowledge, learn from people and make new friends. And that was exactly what happened. We met the trainers and their students to spend some time together and to train. Everything was easy going, relaxed and we had fun. I shared the mats with white to black belt practitioners learning a lot from each other. 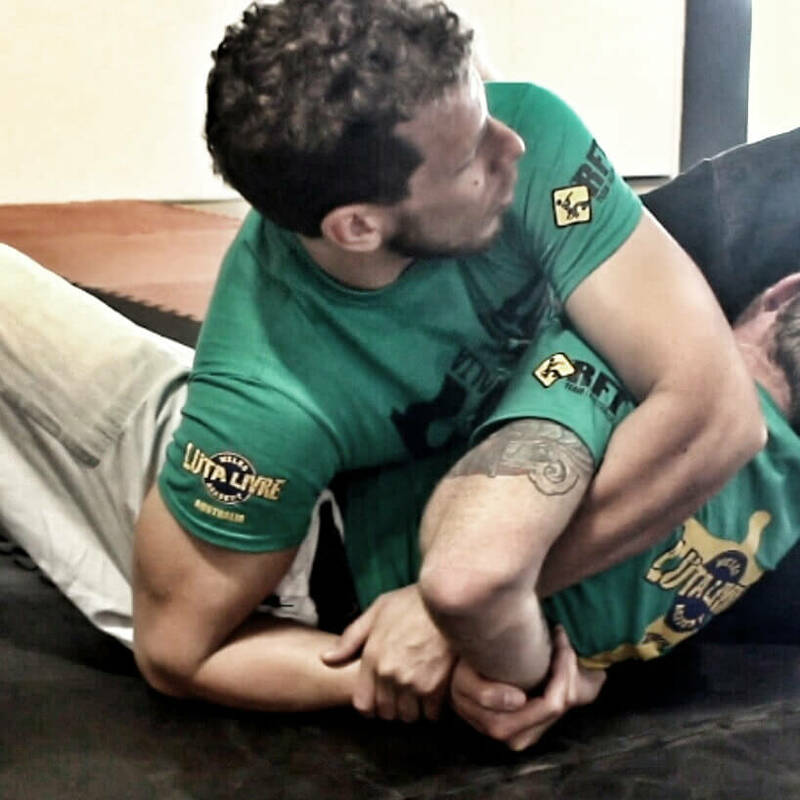 For my classes I decided to teach some of my “Carioca Leglocks Series”. They are a series of leg attacks and counters I put together and developed in the past in order to teach a very systematic and progressive game of attacking the lower limbs. My concern was that most of the techniques were illegal in BJJ tournaments, as the clubs we visited were mainly BJJ based. 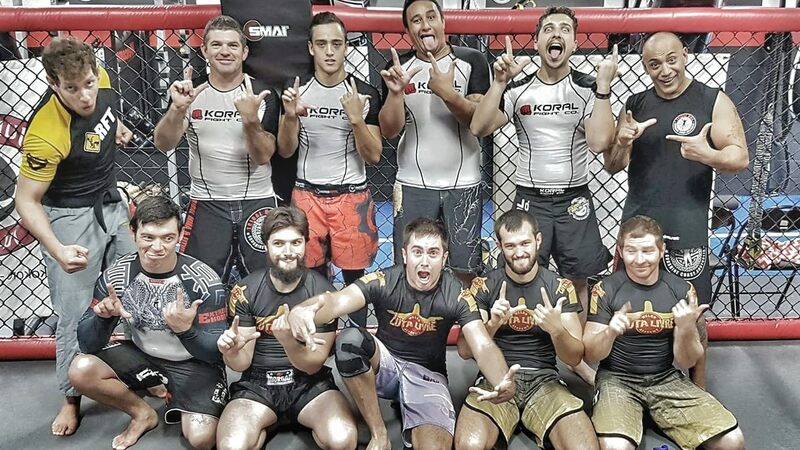 But they also focus on MMA, so I thought they would probably like the techniques and I also wanted them to experience new approaches; I wanted them to experience my way of Luta Livre. So I did it. I turned on reggae music as usual to my classes; my “Peace and love to my people” Playlist was the first choice. I showed them some takedowns first to deliver then an introduction into my “Carioca Leglocks Series”. Iron Jay assisted me during the classes helping the participants. The party started, the atmosphere was full of good vibes. Everyone was laughing loud, making jokes, loving the pain and twisting and I enjoyed the moment and teaching as always; good vibes all around. 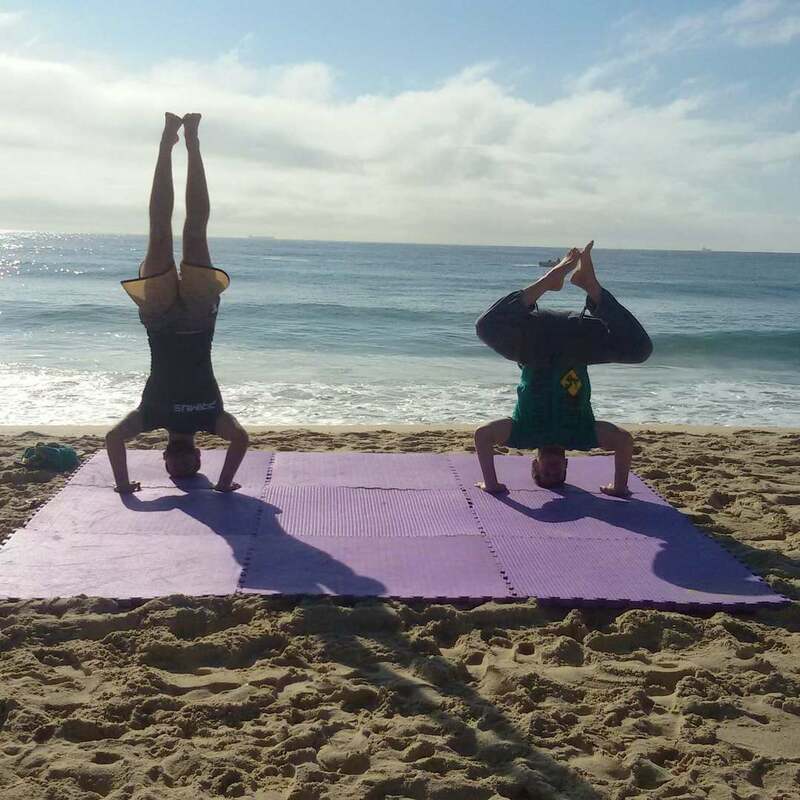 We were able to visit just a few gyms on this short and spontaneous trip, but “BRUTA LIVRE”, “KEEP IT PAINFUL”, “GOOD VIBES ONLY”, “SHARE THE KNOWLEDGE, SHARE THE MESSAGE” and other funny slogans we use to describe our own principles were in everyone’s mouth attending the classes. I felt good. We were moving from place to place but it was late at the last night of the trip; we were hungry and needed to find a place to stay overnight. We had almost run out of food and money. All that we had left was just some “Spaghetti” and “Vegemite”, a dark brown Australian spread made from leftover brewers' yeast extract with different vegetable and spice ingredients. Iron Jay was happy to eat them both together, but my first experience with this Australian spread last year was terrible. I remember I expected it to be sweet, as they told me to try it on bread for breakfast. I put a thick layer of it on my bread… and yeah… it felt like a nasty submission to me; painful and illegal! There was no way I would try that “delicious combination” as Iron Jay called it jokingly. So I ate boring Spaghettis mixed with some margarine and salt for taste. Enough to not to go to sleep with an empty belly that night. Lying in the van on the last night of the trip my attention was diverted toward all of the pictures, messages and advice inside the van drawn by previous travelers. I was thinking of all the good experiences I had on this short trip, sure that it would not be my last one. I always enjoy when I’m on the road leading a simple life, living with the basics, no excess, keeping a clear mind, because I do not have to waste energy thinking about other things which are not about the here and now, I focus on my feelings, experiences giving me excitement, feeding my soul. Don’t get me wrong, I do not have anything against owning material things, because they can be useful, but I am opposed to the point when material things start owning me at the end, consuming my life energy and freedom, distracting me from the present, of my personal discovery, keeping me worried, the kind of experience that doesn’t touch me in a positive way to be happy. that the world is a dangerous place and you need this and that to feel safe and happy. I felt good, very good. I turned off my camping light, crawled back into my sleeping bag and closed my eyes to finally fall as sleep one last night in this old van. 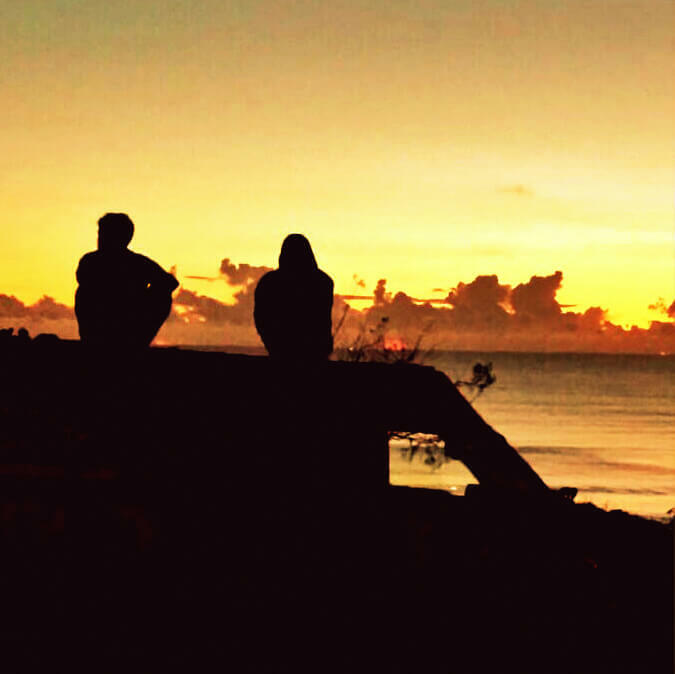 At the next morning, Iron Jay and I were sitting on the roof of the van, drinking tea and watching the sunrise. We were about 2000 Km on the road. I told him, that I hope not only to create followers, but also develop leaders for our Luta Livre projects who really share our values and beliefs. It was then that I decided to do a larger trip in the near future. 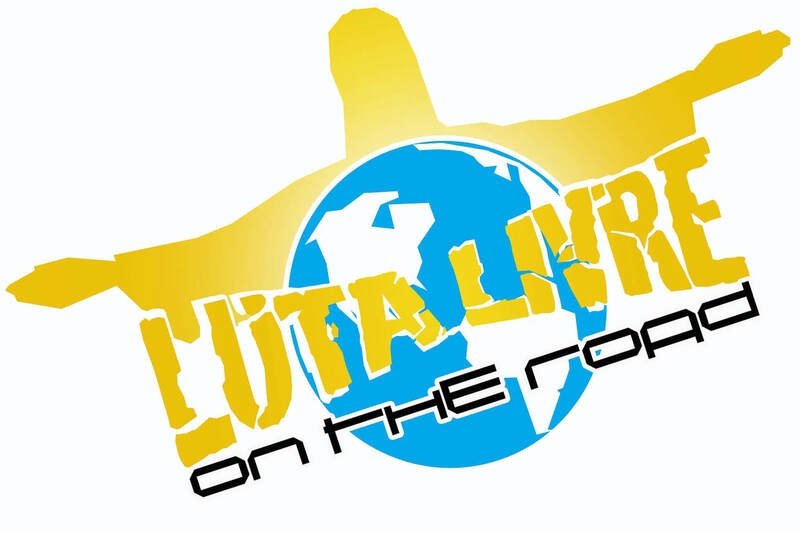 And “Luta Livre on the road” became another official project of the Welko Academy. I hope more people would share this experience on our next trips around the world, by inviting us to their gyms, riding along with us to train enjoying the very moment. If you are reading this and you would like to get involved, just contact us. 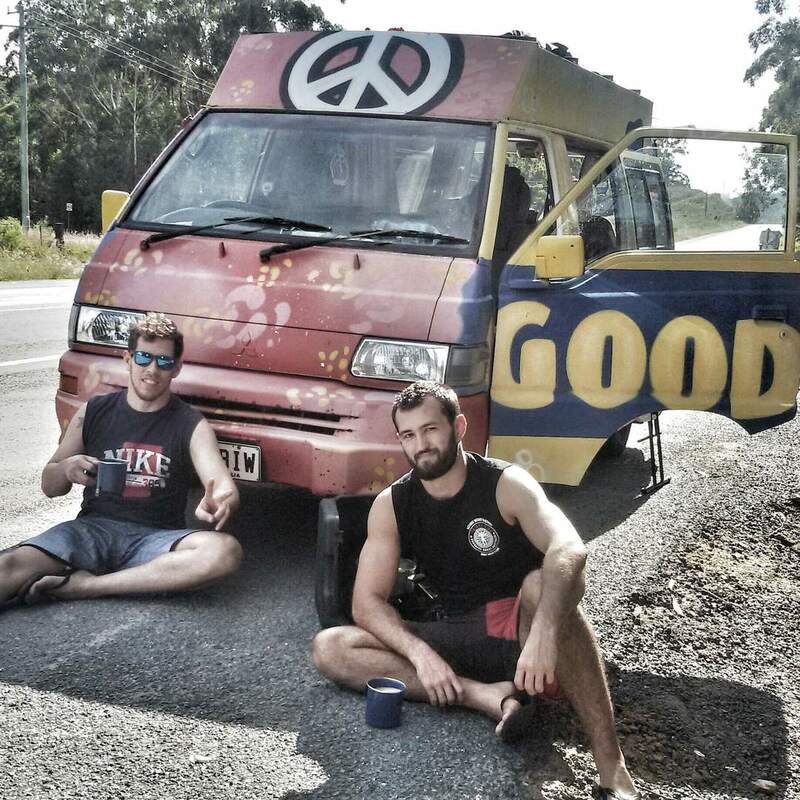 Have also a look into the highlight video of this Australian Luta Livre road trip.